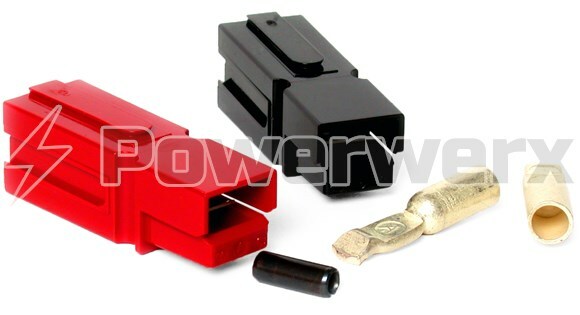 A "kit" is (1) Red housing, (1) Black housing, (2) contacts and (1) roll pin. 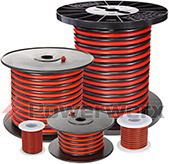 Allows for minimal contact resistance at high current, wiping action cleans contact surface during disconnection. 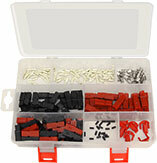 Simplifies assembly requirements and reduces parts inventory. 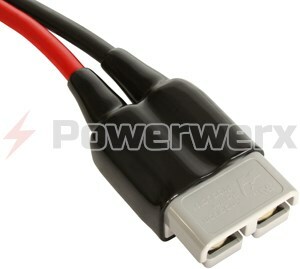 Allows customized multi-pole configurations with visual color coding to match wires. 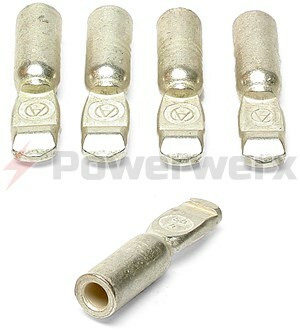 Prevents damage to connectors from being mated incorrectly. Allows versatility to choose product best suited to design requirements. 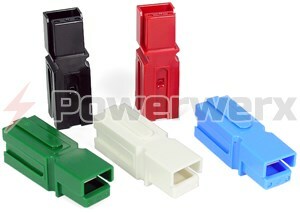 Provides security in knowledge that the connector chosen meets strict UL flammability ratings.